The 2014 Winter Olympics are nearly here! Do you plan to study up on all things Olympic with your homeschoolers this year? I do. I’ve been digging around trying to find some great resources to use with my children and I thought I’d share them all with you! *Note, this post does contain affiliate links. 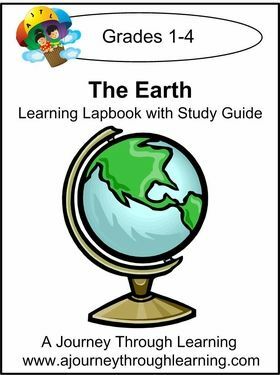 First, I wanted to point you to this awesome Lapbook and Study Guide from a Journey through Learning. We’ve used a number of their products and I’m always singing their praises. I can’t wait to dig into this one! It is just ONE DOLLAR! Click on the image to purchase your copy! Next, I create a fresh and shiny pinterest board full of all things Winter Olympics. I have tracked down all kinds of activities for your for just about any age range. You’ll find math, literacy, games, unit studies, and much more. Many of them are free. And of course no study would be complete without a few great books! Now I plan on loading up at the library of course, but we always pick up few to own as well. Click on any of the photos below to be whisked away to Amazon.com where you can do your own book shopping! So there you have it! I’ve done a lot of the hard work for you! Now go and enjoy the Olympics with your family! We recently received for review Let’s Measure It by In the Hands of a Child. In the Hands of a Child is a company that designs children’s lapbook & project packs in a variety of subjects. The Let’s Measure It Project Pack is a complete unit of study on all things the world of measuring, from volume to length to weight to time. This Project pack, intended for children in grades k-3, covers it all. We’ve had a great deal of experience with units like these. Cutting and gluing the assembling the final product was simple. The instructions provided in the downloadable PDF were quite clear and explicit. There were even photos to help you determine a good layout for all of the projects inside of the file folders that keep them together and easily displayed. That being said, there was a LOT of cutting. It seemed there were so many bits and pieces to every project that needed to be cut and glued. But what there wasn’t a lot of was writing! Instead of writing out an answer there was a slip of paper with the answer already provided and it was the student’s job to cut it out and glue it in the right place. This made my five year old happy as he is in an anti-writing kick lately. But cutting he still loves. There is a suggested book list as well as a bibliography. We checked a few of the books out from the library others we already owned. Honestly though, in the end it was really Mommy just outright teaching each concept as we went. None of the concepts were too difficult for my children who are currently 5 and 7 years of age. After we went over the concept I had the student complete the related project. Once all of the projects were completed we glued them into the folders just as the instructions detailed. We loved the variety of projects. There were all sorts of different minibooks, graphs, flip up charts and more. My boys get a kick out of discovering how the next project will work. I love how this Project Pack covered a very wide range of concepts in measurement. I often tend to think of measuring as length, as in how many inches. I forget that time, distance, temperature etc. are also forms of measurement. I think that is particular Project Pack serves as a great addition or supplement for any math curriculum. If you are studying measurement elsewhere this Project Pack will give your children an opportunity to reinforce the skills and concepts learned. While a great study, I don’t think there is enough meat to this to have it stand on its own as a curriculum. For that I’d like to see lots of practice actually measuring things instead of simply reading about it. Over all I’d definitely recommend this Project Pak to anyone looking for a fun way to introduce or reinforce measurement concepts in their homeschool. It was great fun to complete and my boys learned a good amount. Now they have a great new Project Pak to show off at our next show and tell. It’s something they are proud of and nothing could be better than that. The Let’s Measure It project pack is $12.00 but as of the day this post was published, it was on sale for $5.00! Save On A Journey Through Learning Lapbooks In June! A Journey Through Learning, my favorite source for lapbooks, is running some great specials this month! I thought you’d all like to know! I know I’m filling up my shopping cart! Ezra particularly loves to do these and they learn so much! You can read more about our experiences lapbooking in pervious posts by clicking here. 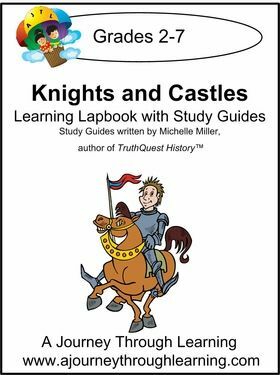 We received for review The Earth (grades 1-4), and Knights and Castles (grades 2-7) Lapbooks from A Journey Through Learning. I was sent the color PDFs that I downloaded and printed out on my own computer at home. Ezra, age 5 reviewed The Earth Lapbook and Noah, age 7 Reviewed Knights and Castles. Lapbooking has sort of taken over our homeschooling and if you read the homeschooling section of this blog regularly then you already know that! We just seem to love getting to dig in deep on any topic we can dream of. Lapbooks can just be fantastic for that! Ezra seems to particularly enjoy them. He enjoys the crafty aspect. I like how everything can be all laid out for me. Download, print, and go! That exactly describes these two lapbooks from A Journey Through Learning. They make lapbooking so easy! They have a very large selection of small and large lapbooking projects all at very reasonable prices in my opinion. If you are unsure of how to make a lapbook with your children then you can check out A Journey Through Learning’s video. They do a fantastic job of breaking things down into very manageable steps for you. It even details for you all of the supplies you will need and just how to get started. These lapbooks come complete with pages and pages of study information that accompany each and every little project or mini book that you will place in your lapbooks. Generally I read the pages aloud to my children while they cut out the pieces for the project. Sometimes my children would read the pages to themselves. Either way, after the reading was done we’d come together and I’d assist them with picking the information out of the text that was needed for the mini book or project. Then they would copy down or paraphrase the information onto the project. Each lapbook came complete with a book list that you can use to add to your children’s learning on the topic. We went to the library and filled our library basket to the brim with appropriate titles, both those that were recommended and others we found on our own. I have to say that this wasn’t necessary. We are book junkies and adore reading anything we can get our hands on in any topic we are studying, but the study information that came with these lapbooks was more than sufficient. Ezra completed 3-4 projects per day (he really enjoys this) and finished his 3 folder Earth Lapbook in just about 2 weeks. Noah’s Knights and Castles Lapbook was a four folder lapbook with many more projects. He worked through 1 or 2 projects per day and I predict it’ll take him just over a month or so to finish up his. Noah’s Knights and Castles Lapbook is described as being meant for 2-7th grades and I would certainly call the material more in-depth and challenging than Ezra’s Earth Lapbook meant for 1st-4th graders. The reading level is higher and the student has to draw a bit more of his own conclusions to finish each project. It stretched my 2nd grader for sure and I appreciated that. In fact it stretched him so much that his lapbook is not quite entirely done. He is enjoying the learning process and is eager to complete the project, but he and I agree that he needs to move at a slower 1 or 2 projects per day where as with the Earth Lapbook Ezra could complete several in one sitting. Keep in mind though that in most area’s Ezra does fall 1 or even 2 grade levels above his age at least. Lapbooking has breathed fresh air into our homeschooling. My Ezra just craves in-depth studies and I don’t always have the time to put new things together for him. I can download a lapbook and he can be off and running in moments. It truly is amazing to watch that little boy spread his wings with this format. Lapbooking is the perfect compliment for unit studies and self-directed studies. A Journey Through Learning makes it very easy as they have, quite literally, done all of the work for me! Here a few other A Journey Through Learning Lapbooks we have completed recently…. Cooking , President’s Day, and Valentine’s Day. Here are links to a variety of A Journey Through Learning Lapbooks you might be interested in. As you can see, they have a range of topics and something for every age. I like to think of our homeschool almost as a living thing of it’s own. It is constantly growing and changing, shifting and evolving. What our homeschool looks like this year probably doesn’t look much like it did last year or what it will look like perhaps even next month. I don’t want you to get the impression that we are not consistent or even unintentional in our learning. We very much are. There are some anchors that will never change. For example, we will always study the Bible. However, how we study the Bible this year will probably look different than the way we will do it next year. On the one hand this drives me a bit nuts. I agonize over things sometimes. With each and every change I weigh the pros and cons, pray, hem.. haw… wring my hands. Yep, I’m a bit narcotic. But I take this homeschooling stuff seriously. Plus, if a change requires the spending of the family’s money, I have to be extra careful. Every dollar can only go so far. 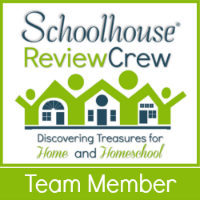 On the other hand, I recognize that the fluidness of our homeschool is a blessing. It can change and evolve as our family changes and evolves. It can be bent to meet each child’s individual needs in a way that just can’t be done in nearly any other learning setting. The best part of all of this is we can take each child’s individual interests or passions and use them as a vehicle toward truly meaningful, engaging, and memorable learning. Lately it’s that last part that I’ve been contemplating A LOT! I REALLY want learning to be adventurous… and so far… there is some but not ENOUGH adventure in our homeschool. At least not in my opinion. I recently started reading Project Based Learning: Mentoring Self-Directed Learners by Lori McWilliam Pickert and I’ve been reading a series of blog posts all over the web by some great homeschooling Momma’s on something called Delight Directed Learning. For just a little peak click here and here. Or simply Google ‘Delight Directed Learning’ and you’ll have enough links to keep you reading for a month! Generally, I’ve had my eyes opened to the idea that I have not been doing as much as I really can to encourage my children to learn through their passions. Yes, I want to instill in my children strong reading, math, and writing skills. I want them to experience great literature. I want them to dive into fantastic science concepts. I want a lot for them. But really, what I want more than anything is for them to LOVE life and LOVE learning. I know that will be most easily accomplished if I follow THEIR lead and roam where THEY want to go in THEIR learning. It is their education after all. We are headed into this path slowly but surely. We began when I discovered a great company that produces some fantastic Lapbooks. It is called A Journey Through Learning. You can click on the link to learn more about them and what a lapbook is. This company is so fantastic because they have SO MANY lapbooks ready to download, print, and dive into. So… I asked my children… what do YOU want to learn about. You should have seen the looks on their faces! They were THRILLED! THEY got to choose. Ezra choose an express lapbook on cooking. I wasn’t surprised at all. Ezra has already shown a passion for cooking. We call it an express lapbook because it can be completed in just one day. After I reviewed the material I spoke to my husband as he is the real chef in our household. I asked him if he might want to get involved. Being the awesome Daddy that he is… he said yes of course! This lapbook wasn’t going to be complete without a true cooking experience. So that night, Ezra and Daddy completed the lapbook and cooked a great dinner…. Plant Based Enchillada’s. Ezra helped Daddy read the recipe, gather materials, measure ingredients, mix, stir, scoop, set the oven and everything else need. And then while it cooked the two of them completed the lapbook and Ezra wrote in detail about his experience cooking with Daddy. I never saw a more proud and happy boy than when that food came out of the oven and everyone gathered around the table to eat. Now we are on the hunt for a cooking class for Ezra. I’d like to see him experience more cooking experiences both at home and with friends. I think this is just the first step on a great adventure for him. It was amazing to see him come alive for this project. He poured his heart into the cooking and the lapbook. He was careful with his reading, writing, spelling, and math. He talked about it for days. And once in a while Daddy invites him up to lend a hand with another dish. Wonderful memories and wonderful learning. Ok… so how about the recipe! Mix all of the ingredients except the choose and spoon it into the tortillas. Roll the tortillas and place into a pan lined with enchilada sauce. Top with enchilada sauce and remaining cheese. Bake at 350 for about 20 minutes. There you have it! Plant Based Enchilada’s! Lapbooks are the first step toward a homeschool that is more centered on my children’s interests. In the next post in this series I hope to continue this conversation and discuss with you how I’m changing our home to give my children the space they need to dig into their passions. Until then Happy Cooking and Homeschooling! ps. If you’ve gone down this road ahead of me please share with me your experience. If you are struggling to do this in your homeschool.. I want to hear about it. If you have any great resources for me… PLEASE share! I WANT TO HEAR FROM YOU! On Friday I shared with you a new resource I found for quick and easy lapbooks! They are called Express Lapbooks from A Journey Through Learning. They cost all of $1! Like I said before, I tend to be a poor planner when it comes to smaller holiday’s that come around most especially this time of year. Last week we finished an express lapbook on Valentine’s day. It was handy for teaching the children some vocabulary and basic background information on holidays. Can you spot the dog hanging out under the table? We love our Odie! Today we completed another one on George Washington and Abraham Lincoln in honor of President’s Day. This lapbook gave me a great basic framework for introducing these two historic figures to my children. My Ezra was extra proud of his. He just adore’s lapbooks! We just started a new music program… maybe we should give the Music Theory lapbook a try next! Hmm…. Do you lapbook? What is your favorite source for great ones? A Nice and Easy Holiday Projects! I have a bad habit of not getting anything together for my children for these smaller holidays… ie. Ground Hog’s Day, Valentine’s Day, President’s day… you know… all of the ones right around this time of year. My Ezra adore’s lapbooks. So when I found A Journey Trough Learning Lapbooks I was excited. They have a whole section of what the Express Lapbooks for all of $1 each! They looked simple enough. Like something we could do in one sitting without too much demand on Mommy to think it through and prepare. I grabbed the Valentine’s Day one as pictured below (it was partially done here, 1 more piece left), and the President’s Day one. Valentine’s was quick and easy and done! I’ll report on President’s Day next week! Boy… these lapbooks make me feel prepared and like I managed to actually plan something! Ha!